You guys, we had the best Thanksgiving. We spent it just the three of us for the first time ever, and decided to serve at our city’s “Don’t Be Alone on Thanksgiving” dinner, which provides turkey with all the fixings (plus dessert!) to nearly 1,000 members of the community in person and through meal deliveries. While in past years we’ve roasted and dropped off a turkey before the meal, we’ve never actually volunteered in person. I’m just so proud of how helpful and cheerful Georgia was. She helped us pass out meals, talk to the guests, refill drinks, bring around dessert, and clean up. When we got home we had our own little dinner and it was simply lovely. The only downside to not having a big meal, of course, is the lack of leftovers. In the past when we’ve come home from a big family Thanksgiving with lots of extra turkey, gravy, vegetables and cranberry sauce, I’ve made it all into a really simple casserole — nothing complicated — which turned out to be the perfect way to use up those random leftovers. It’s not too fancy, but it repurposes almost all of your extra meat and sides into a comfort-food casserole that’s sure to remind you of cold winter nights as a kid. Nobody feels like cooking the weekend after Thanksgiving anyway, so being able to dump everything into a big baking dish and feed your whole family in half an hour is just so satisfying. Here’s what I did. I’ve heard that cream-of-soup casseroles and hot dish recipes are suddenly en vogue, and I am OK making them again non-ironically. Health food? Not so much! Throwback tasty? All the time. 2 TBSP dry breadcrumbs OR smashed potato chips, if you have extra from a chip n’ dip appetizer! *Instead of 2 cans, I subbed for one can about a cup of leftover onion dip we had lying around from appetizers. Preheat the oven to 400F and cook and drain the noodles al dente (a little undercooked so they don’t turn to mush in the casserole). Add the soup, milk, veggies, turkey, cooked noodles and grated cheese into a good-sized casserole dish. Stir the melted butter and breadcrumbs (or leftover chips, which is what I used) together in a separate bowl. Bake the turkey-veggie-soup mixture at 400F for half an hour, or until hot and bubbling. Remove from the oven and stir; top with the bread crumbs or chips, and bake for 5 more minutes until the topping is golden brown. You could also substitute another meat in this dish, such as leftover chicken, tuna, or even ground beef. And, of course, you could use those french fried onions on top instead of chips or bread crumbs; a healthier option still would be Panko. Overall, this is a very forgiving recipe where quantities are just estimates and you can generally use whatever you have around and it’ll still come out great. Thanks to Campbells for inspiring this post. 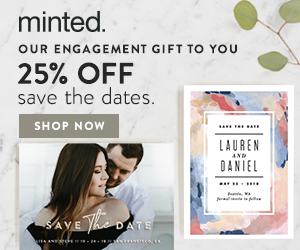 Minted extended their Black Friday sale on holiday cards! You don’t want to miss out on this deal. I ordered ours last night! Let’s Get Ready for Thanksgiving! Attention holiday shoppers — it’s almost Christmas! We just have to get through that binge-eating traffic nightmare and then it’s on to unmitigated holiday cheer! Well, that’s how I feel about Thanksgiving anyway. I’m basically on Christmas countdown as soon as Halloween night is over every year, but that doesn’t mean I don’t like my share of Turkey Day food and festivities. Each year, my claim to fame is this Ginger-Orange Cranberry Sauce, which is so easy to make and really pushes your side dish game to another level. You can scale the “kick” up or down depending on your family’s taste, and it doubles (or halves) very well too. What’s even better than having this Thanksgiving Day? The fact that you can make a really satisfying warm dip out of the leftovers for lounging and snacking all weekend! The dip doubles as a sandwich spread, too, so make sure you pick up some cream cheese and red pepper jelly to make it while you’re doing your other grocery shopping! I spend the day after Thanksgiving in pajamas, designing and ordering our Christmas card on Minted and photo gifts for the family on Shutterfly and Mixbook, noshing on leftovers and filling my virtual shopping bags with deals for Cyber Monday. This year, I’ve got some major purchasing to do at the Apple Store, American Girl website and Ikea kids section, and I assume there will be a few irresistible items for myself at Nordstrom, Lands’ End and Old Navy, too. Here’s a sneak peek of our holiday card photos, courtesy of TDM Photography, our go-to photographer for family photos. I’m so thrilled with how they turned out, and I can’t wait to get my hands dirty designing the perfect card for friends and family this week! I love Minted for their unique designs, their support of independent artists, and the fact that they let you keep an online address book of all your contacts, and will address your holiday cards for FREE, in a style that matches your card design. How easy is that, working mamas?? Mixbook has become my preferred design site for creating beautiful, high-quality photo books. Their pages and bindings are top notch, the photo resolution is consistently high and the colors true, and the materials stand up to lots of handling without warping or fading. This Cyber Monday, enjoy 55% off! New weeknight staple alert! This is a 20-minute meal that tastes like scratch (and mostly is), and provides delicious, warm little lunches. That is, assuming you even have leftovers. It really is that scrumptious. We had parents night at Georgia’s school recently, and we got home that day with less than an hour to spare before we had to turn around and head back out the door. Patting myself on the back for buying fresh tortellini a few days earlier, I quickly realized I had the makings of a fast, filling dinner that would also serve the dual purpose of helping us move through our tomato stash. Which, if you’ve been following my Instagram since late August, is significant. Even with the cooler temperatures slowing down the ripening in our garden, I’ve put up 68 ounces (!!!) of tomato sauce, and made countless batches of creamy tomato soup for freezing and eating since September. I probably gave out 100 tomatoes to co-workers, too, and am now moving on to bringing in the green ones for folks who have good recipes for things like relish, fritters and stew. And all that came from just two plants! I did tons of caprese salad and homemade pizza during the weeks of late summer and early Autumn, but eventually that gets repetitive, and in the fall soup just starts to feel right. Georgia has never been a big fan of the texture of soup or stews, but I figured if anything could change her mind, it would be something chunky, creamy, and filled with cheesy pasta. And I was right. Inspiration for this recipe came from The Kitchn, but I made my own modifications and tweaks because I like more tomato chunks and a little less heft than heavy cream. In a large stockpot or Dutch oven, heat the butter and olive oil together over medium until warm, then add the onion. Cook until soft, then add the garlic, making sure it doesn’t burn. Season with salt and pepper. Stir in the vinegar, then add the crushed tomatoes (with the liquid in the can) and the broth, cream and bay leaves to the pot. Add in some chunks of fresh tomato. Bring to a boil, then reduce the heat and simmer for 5 minutes. Add the tortellini and cook for about 3 minutes (5 minutes if using frozen). Remove from the heat, discard the bay leaves, and stir in the basil. Serve topped with fresh grated Parmesan. Enjoy warm! You can use either fresh or frozen tortellini; just adjust the cooking time up a bit for frozen to give them time to thaw by cooking in the sauce. Subbing vegetable stock is fine; I like the taste of chicken stock better. You can also use another type of shredded cheese on top, such as pecorino. Feel free to put that heavy cream back in there if you want it extra rich! For me, this kept in the fridge just fine for 5 days. I also froze two small containers of it for later. To reheat, either warm over low/medium on the stovetop or microwave for about one minute, covered. I hope you are having a wonderful fall getting ready for Halloween, Thanksgiving and (gulp) Christmas. I am actually already starting to shop for the holidays! Starting early is the only way I can stay on budget. We just took our annual family photos with our favorite photographer — here’s a sneak peek of one image so far 🙂 I can’t wait to get the full package so I can start designing my photo album gifts and Christmas cards. It’s August in New England, which means tomatoes are busting out all over. Every year we scale back the number of plants we put in, but we are blessed with a very sunny raised bed alongside our house that simply churns out tomatoes, basil, lettuce, eggplant, peppers and zucchini, so we are once again in abundance! Last year we added rhubarb, and it grew like crazy. I’ve already made one strawberry-rhubarb crisp this year, and am going to have to harvest and freeze a bunch more before the first frost. I’ve learned a lot about the proper ways to harvest and grow rhubarb so it comes back healthy every year, and I’ll post more about that soon! 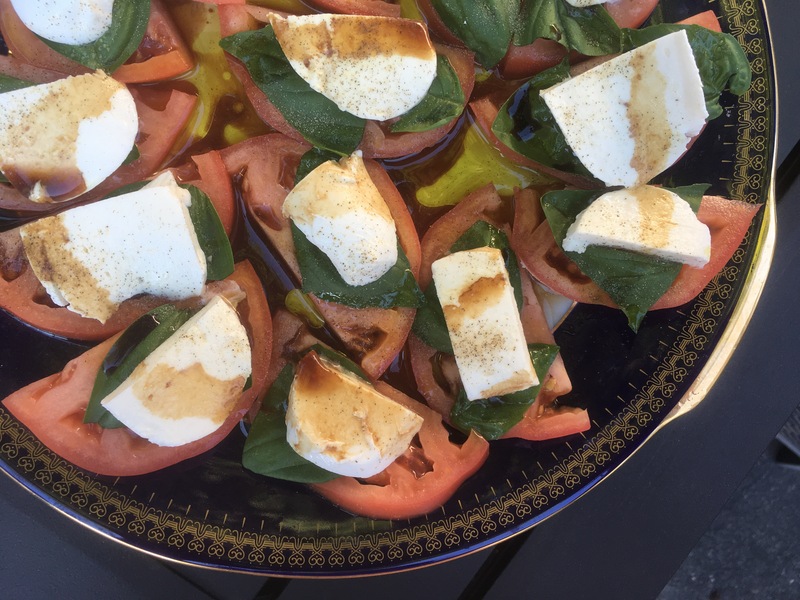 Today I’m sharing two easy salads that only require you to pick up a couple ingredients in addition to tomatoes — primarily the mozzarella and feta cheese — assuming you are growing your own basil, lettuce or cucumbers. Both salads are crowd-pleasers that keep well at cookouts and on buffet tables, and taste refreshing, not heavy or overly filling. Dig in and get your summer greens! Wash, dry and chop your lettuce, or just buy a box of fresh organic mixed greens, which is what I usually do. 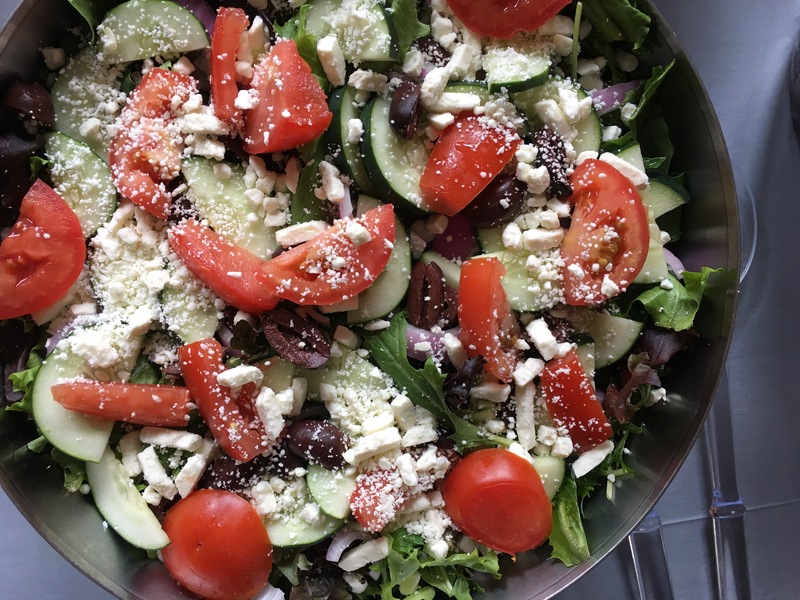 Place in a large bowl then top with sliced fresh tomatoes of any variety, diced red onion, Kalamata olives, sliced and halved cucumbers and crumbled Feta cheese. 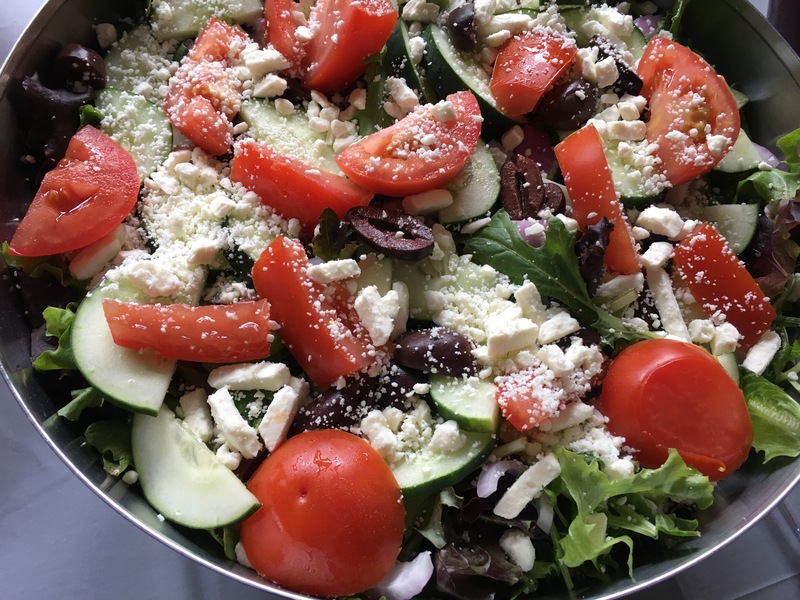 Drizzle with the dressing of your choice, or make your own Greek salad dressing by shaking together 1/2 cup olive oil, 1/4 teaspoon pepper and 1/2 teaspoon of salt, 1 tsp dried oregano, 2 minced garlic cloves, a squeeze of half a lemon plus 2 TBSP red wine vinegar. You can add more zip by swirling in some Dijon or other mustard, and you can make it creamier by stirring in a spoon full of Greek yogurt. Yum! Just add to a jar and shake to emulsify. On a serving plate, drizzle some good olive oil in a zig-zag pattern. 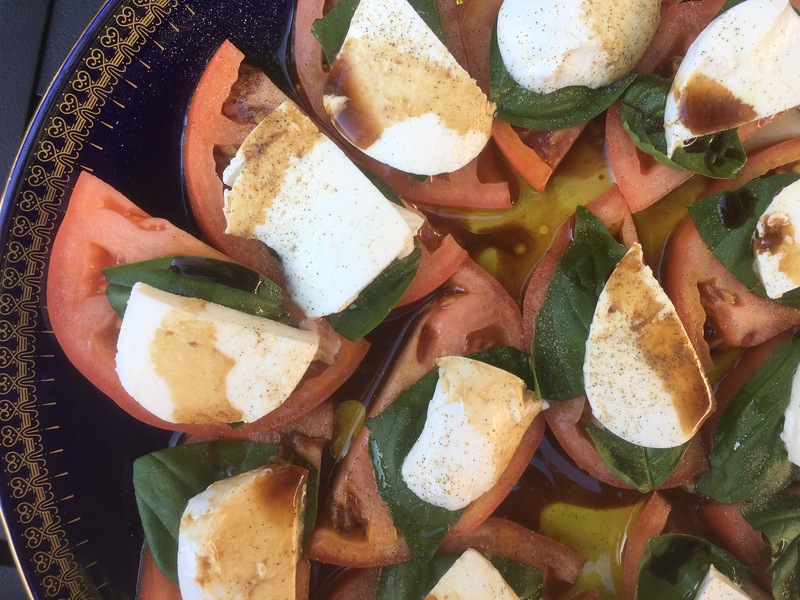 Lay down half-moon tomato slices, top with a basil leaf, then finally place a slice of fresh mozzarella on the stack. Season with a little bit of pepper (fresh cracked is best tasting, but any kind is fine) and then drizzle with good balsamic vinegar over top. Serve! Both salads will keep in the fridge for a few days, too, which is great for lunch. 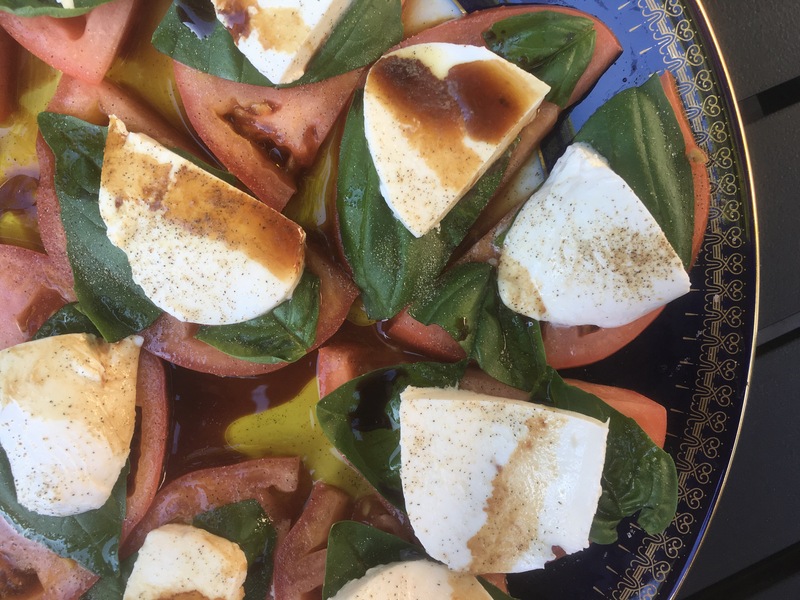 The caprese salad in particular travels well if you pack the slices tightly in a shallow container, and it’s that rare healthy item that my entire family will eat, so it’s going to be on rotation in our house for as long as our tomato plants are producing! I love anything that extends the feeling of summer, even when vacations and beach days are winding down and school is starting up. Are you in Boston between now and Labor Day? Check out the 2017 Fermentation Festival happening this weekend at the Public Market! Join Boston Ferments from 10 am to 4 pm at the market, above the Haymarket MBTA station (orange and green lines) or on foot/by bike at the corner of Congress and Hanover streets. There will be demos, book signings, make-your-own-sauerkraut, food tastings, a libation garden and more! Boston Ferments is an all-volunteer group of fermentation and pickling enthusiasts based in the Boston area, and willing to share starters for fermented foods, like yogurt, sourdough and kombucha. Why fermentation? Fermented foods — those made by converting sugars to acids, gases or alcohol — have preserved nutrients and are easier for the body to digest. Many cultures have traditionally fermented foods, from kimchi, pickles and miso to sauerkraut, kefir and tempeh. Eating fermented foods can introduce beneficial bacteria (“probiotics”) to your system, easing digestion and immunity. A proper balance of gut bacteria and digestive enzymes helps us to absorb nutrients in food more readily, and can contribute to better overall health. Fermented foods also last longer than canned food, making them very budget friendly, too. Find out more at bostonferments.com, and have a great weekend! Happy Tuesday! This weekend was gorgeous, and we got a chance to spend time with lots of friends. 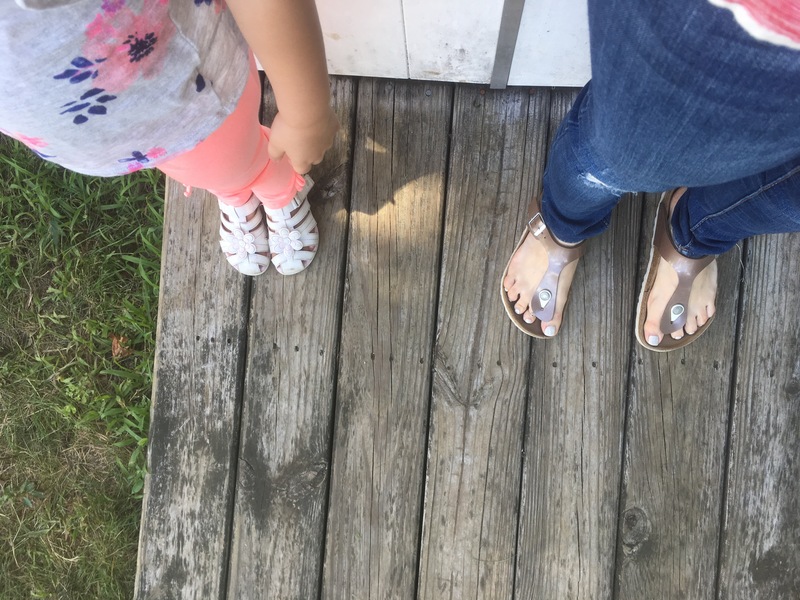 From birthday parties to cookouts and just having some “girls time” with my Georgia, it was so much fun, and also relaxing. 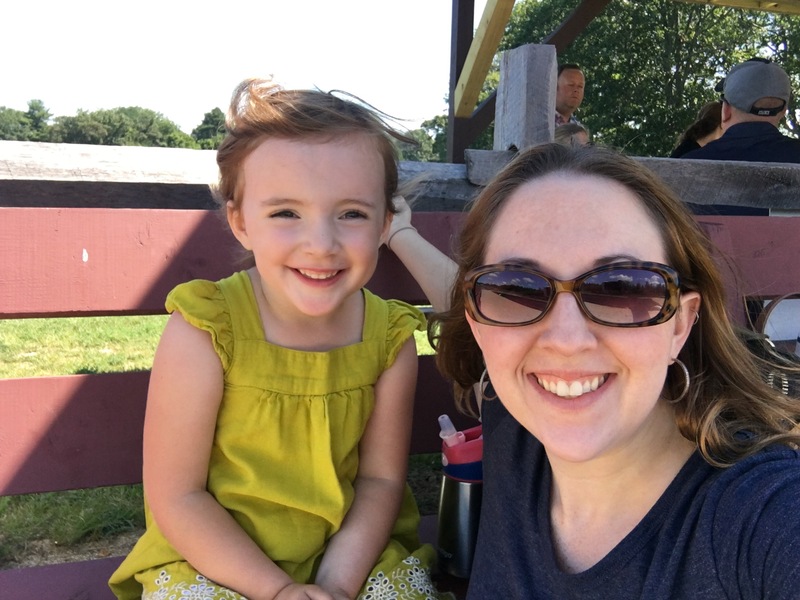 G and I are in party prep mode, gathering together the final decorations and favors for her goodie bags … and I’m in denial that she’s turning four! 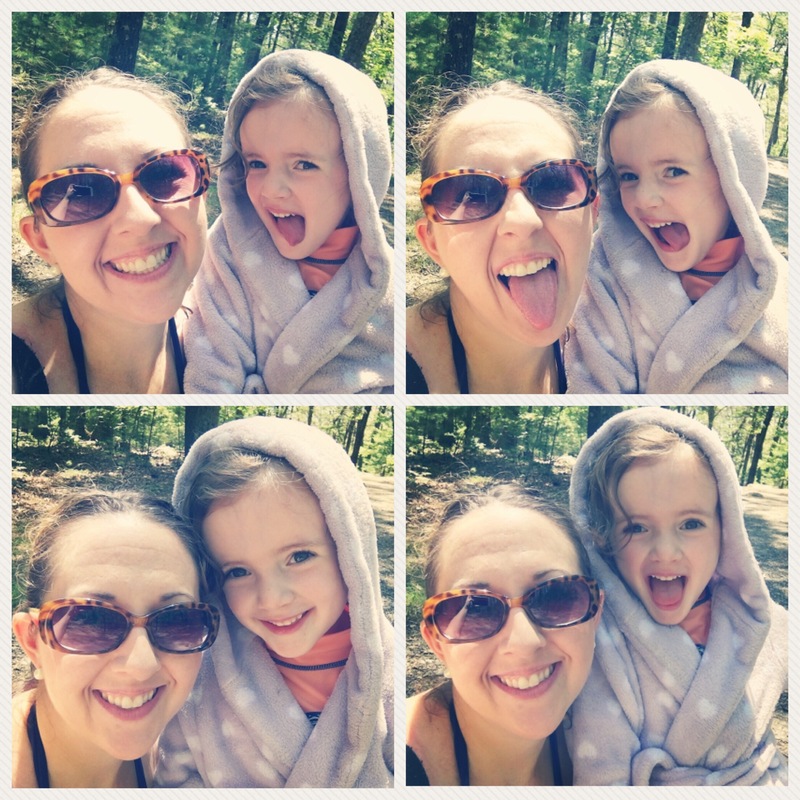 Life with a preschooler is so much more fun than having an infant in my book. There’s no diapers, formula, strollers or baby carriers to lug, and no contending with teething, packing baby purees, having to find a quiet place to nurse, or booking activities around naps. However, there’s LOADS of tantrums over not getting their way, ups and downs with food pickiness, shifting preferences around which parent they want, and rigidity about favorite toys, movies, stuffed animals, sock color, hair style, you name it — which is aggravating but also an awesome glimpse into their emerging personality. I know lots of people find infants simpler and more portable, but I personally have been eager to have an independent walker, talker and day-tripper, so now that she can hang, I’m packing our agenda! The only downside, though, is that if I’m not careful I don’t end up eating anything good all day. 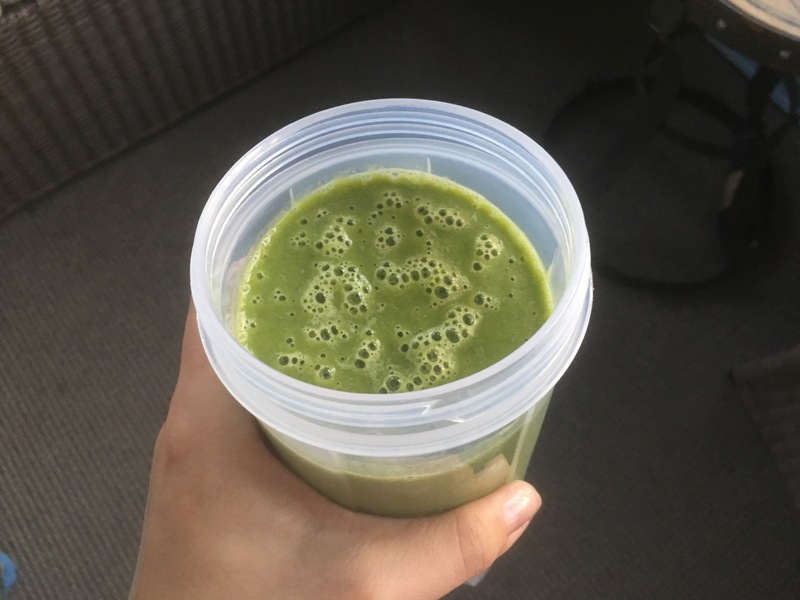 Combined with my frenetic office culture — which, like most workplaces, seldom offers time to break for lunch — I’m relying more and more on smoothies for sustenance on the go. I’m actually drinking one right now while I work from home and wait for the plumber to fix our dead hot water tank! I typically make a double batch every weekend, and my favorite is a healthy green smoothie with fruit, veggies and filtered water. Soon I’ll be sharing my Sunday afternoon routine for making a big batch with Georgia so we are ready for lunches on the go all week! Sometimes, though, I need a little extra energy to feel full or recover from a midday yoga class, so I’m starting to test some of the different protein powders on the market. 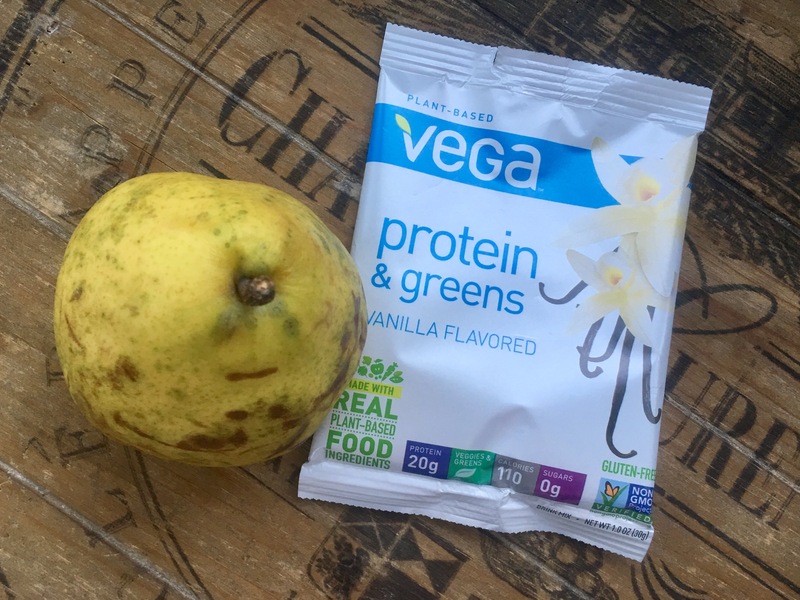 Today, I’m sharing a Vanilla Pear Smoothie that I made using Vega’s Protein & Greens Powder. You can substitute the water/almond milk combo for 1 cup of coconut water or a full cup of either filtered water or the milk of your choice. Adding the liquids first, then the spinach then the fruits and protein powder and ice, blend on high until smooth. Add more ice if you are using a fresh rather than frozen banana. I like to store this in my favorite Shake and Go Bottle by Contigo — because they seal tight, are totally spill proof, hold a ton (24 ounces) while still fitting into my purse or car cup holder, and they have an easy-to-clean mixing ball inside to shake up the contents when you’re ready to drink. Plus, the price is right and they are sold at Target — at $6 each, I can buy two or three so I always have one clean. They even make one with a powder storage compartment on the bottom for $12 that holds up to two servings! The Vega powder has 20 grams of plant-based protein (pea, hemp and brown rice), non-GMO, gluten-free, sugar free, and 110 calories, or 1 Weight Watchers point. It has 4g carbs and 1g fiber, and can also just be mixed into 8 ounces of cold water or non-dairy milk. Other flavors, such as chocolate, are available. I found that it keeps fine in the fridge for four or five days, and a good shake re-mixes it well. I haven’t shared this on here yet, but all summer I’ve been undergoing physical therapy for some lingering issues related to my labor with Georgia — in particular, some spasming muscles in my pelvic floor and a stubborn separation of my abdominal muscles, likely caused by being extremely petite, having a comparatively big baby, and pushing for two hours. Part of the PT is restorative therapy and behavior modification — which I’ll happily share more about later — but the latter phase, which I’m in now, is all about strengthening the core to support all the therapy we’ve done to retrain my abdominal wall and pelvic floor to hold my internal organs in and support my lower back and hips properly. This means I’m doing A LOT of strength training every day, sometimes twice a day, and need to take in adequate nutrients from quality foods to prepare and recover. Protein powder is helpful if you are ramping up workouts after an interval of not exercising regularly, or while recovering from an injury — both, in my case. They can also help support healthy bones, blood, cartilage and muscle if you are mostly vegetarian or vegan, although protein powders are by NO means necessary for ensuring adequate protein intake while eating a plant-based diet. Protein powders are also typically not enough to fully satisfy your daily protein needs — they are definitely meant as a supplement. Well, in addition to the fact that you do not NEED a powder in order to replace nutrients from food, protein powders can be gritty or chalky in your shakes and smoothies — especially if you are used to straight up fruit and veggie smoothies — and, of course, they can be costly. My verdict on Vega? 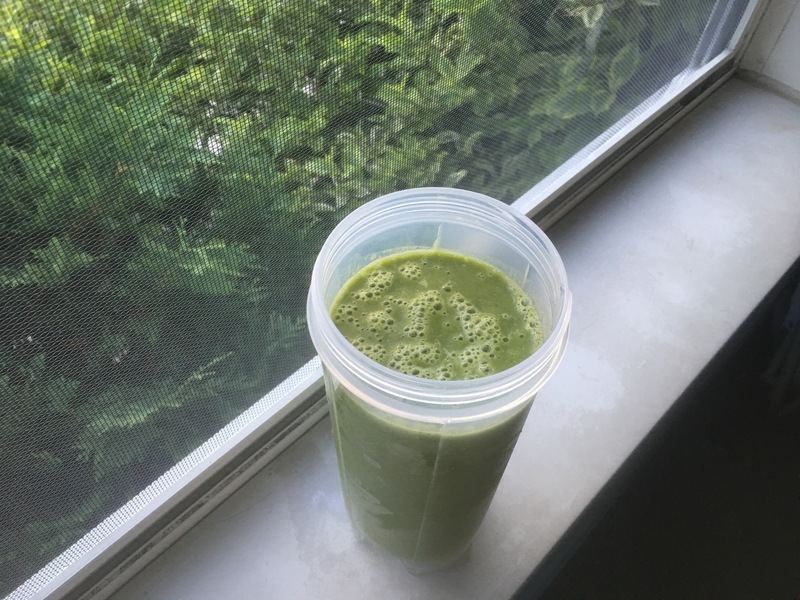 I thought it was tasty, not chalky, minimally gritty, and overall very easy to blend into my usual smoothie, and filling. As someone who is used to drinking fruit and vegetable based smoothies with no added juice, sugar, ice cream, etc., the texture was creamier and sweeter than I’m used to — but that’s not a bad thing, it’s just different. Overall, I’d recommend. A great way to try protein powders is to pick up a $2 single-serving packet in the fitness & supplement aisle to try. That way you don’t have to drop $40 on a huge tub of something you aren’t yet sure you’ll like. I found Vega at Target, and I know Trader Joe’s and Whole Foods have loads more, as well as Amazon and numerous brick-and-mortar health stores. Next up, I’m going to try Aloha’s Vanilla Bean protein powder, and Trader Joe’s Organic Vanilla protein powder. Mark really likes the Trader Joe’s fast-dissolving chocolate whey protein powder for exercise recovery, so I’m hoping their vanilla flavor is tasty and budget-friendly. Most protein powders are whey, soy or hemp, and those are in descending order of protein content. You can also evaluate what type of sweetener each powder contains; I prefer stevia, dislike artificial sweeteners (aspartame, sucralose, etc. ), and like to see a sugar content of zero on that nutrition label if possible. While there are lots of factors to consider, it basically comes down to price, protein source/dietary restrictions, and flavor/texture. I’ll let you know what I discover! What’s YOUR favorite protein powder? Do you use one? Why or why not? 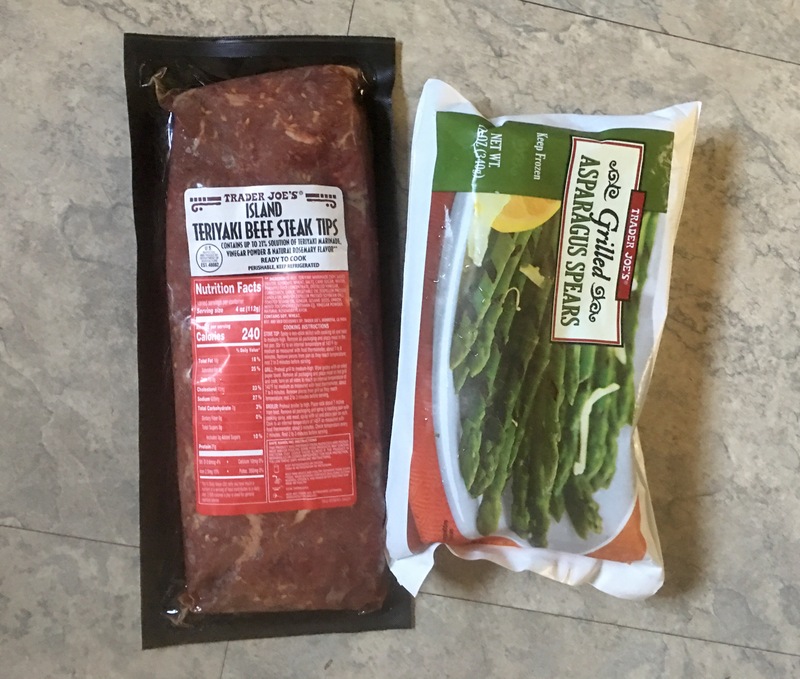 For the latest installment in my not-frequent-enough series on Meals You Can Make Exclusively Using Trader Joe’s Products, I offer these delicious, grill-ready steak tips and sides. Made using things you can find 100% at Trader Joe’s, this meal comfortably fed our family of three with leftovers, and came together in half an hour on a weeknight after work and camp. It’s also pretty healthy, with just 240 calories per serving of beef, or a total of 10 Weight Watchers points if you eat a really big helping. We cooked this indoors because it was raining out, but these tips are made for the grill. You could also broil them to mimic that fresh-off-the-barbecue sear! *Or, substitute a similar potato side. Looking for different options, or rather make something from scratch? Check out my mashed potatoes, homemade scalloped potatoes, roasted potatoes, or classic potato salad. Prepare potatoes following package directions (or use from-scratch recipes above) while heating up a grill pan/large cast iron skillet/Dutch oven to cook the steak tips. (Or grill ’em outside!) I used my large Le Creuset dish and it worked perfectly by giving all the tips room to brown without crowding on the bottom of the pan. You can also stick these under the broiler for a few minutes and that would work great, too. You’ll be cooking them for about 7 minutes or to desired level of done-ness. While the tips are cooking, heat the frozen asparagus either in the oven in a glass dish, or in the microwave in a safe dish, until cooked through, following package directions. Serve the tips with some pan juices alongside the grilled asparagus and potatoes. Garnish with any additional steak sauce you like; Trader Joe’s island soyaki sauce might be nice here, as would any other sweet condiment that won’t fight the teriyaki marinade. Enjoy! There’s no need to season these further, as they come already marinated in a sauce that you can just throw right into a hot pot with a little olive oil. This would also go really well with any type of rice side, as well as any other type of vegetable if you don’t like asparagus. I love these frozen asparagus because you can really taste the grilled parts, and they aren’t very mushy, which kind of tricks your taste buds into thinking that you cooked them fresh. Other awesome frozen sides at Trader Joe’s include their Organic Superfood Pilaf (tri-color quinoa with sweet potatoes, kale and carrots), Fire Roasted Bell Peppers & Onions, and Misto Alla Griglia (marinated grilled eggplant, zucchini and red peppers). I also keep their boxed frozen rice on hand at all times, because you can just steam-heat a two-serving pouch in the microwave to go with dinner at the last minute, and they have a wide variety ranging from organic jasmine rice to organic brown rice to barley mix. And, like most people who shop at Trader Joe’s, one of our top meals is their frozen orange chicken sauteed in a pan with TJ’s frozen vegetable fried rice. It’s our #1 takeout substitute for busy weeknight dinners and now even Georgia asks when we can have “OC” again! I make a big batch on a busy evening and she loves to share a plate with Daddy while watching a movie. What other Trader Joe’s foods do YOU love?